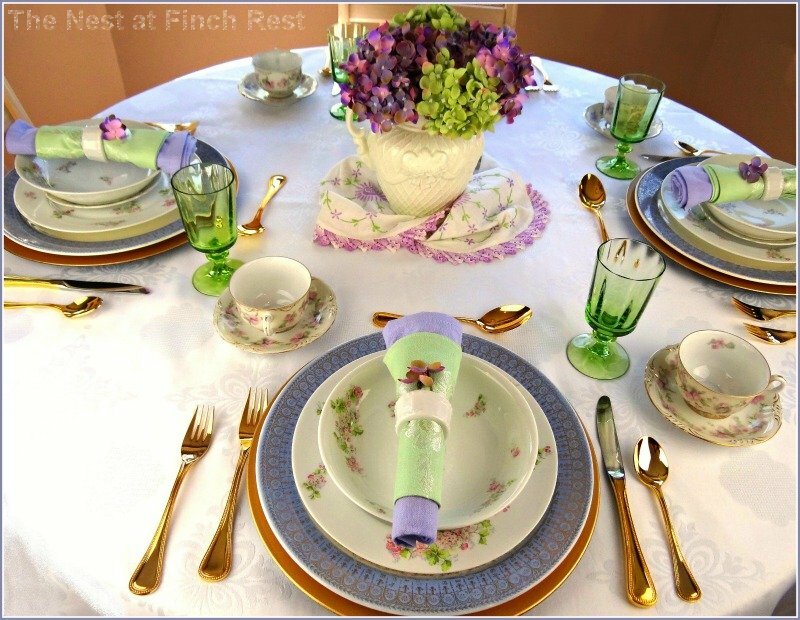 In honor of Mother's Day (and three of my much loved Moms in my world) I have prepared this intimate tablescape in lilac and green. I only wish my sweet Mom was still here so I could have invited her. She would so love this! 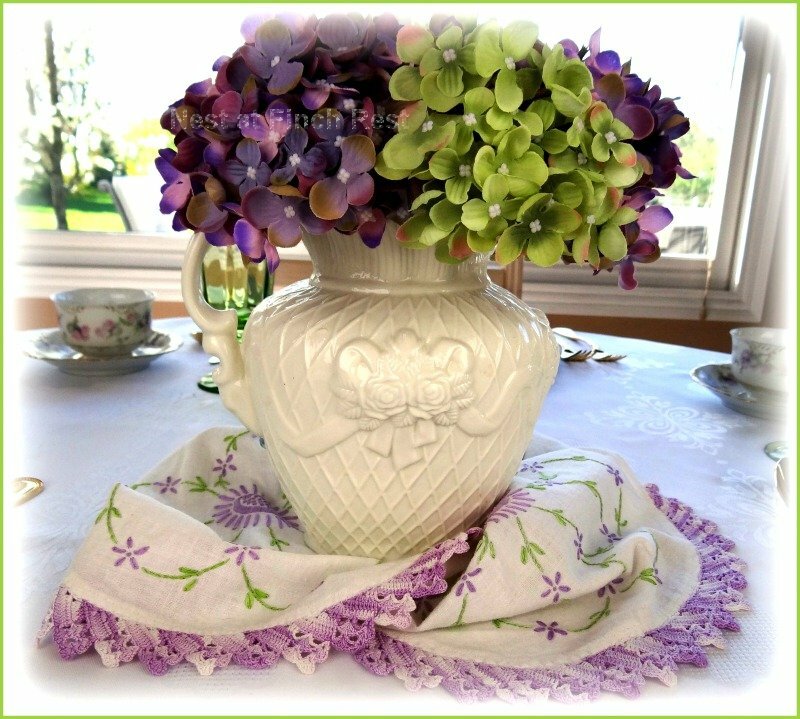 The centerpiece is a roses-embossed pitcher with silk hydrangeas in purple and green, with a vintage crocheted table runner wrapped around the base. I next layered using a slightly smaller 12 inch charger, then a white 10 inch floral dinner plate, and finally a matching soup bowl. They all play nicely together with their similar colour scheme. I took off the soup bowl and layered it with the salad (or dessert) plate that matches the teacups and saucers to show you a closer look at them all together. No it isn't your eyes or a focus issue with the top plate.... the floral painting on them are muted and blurred on purpose - makes it very soft looking, doesn't it? The ornate gilding on the teacup and saucer complements the charger. part not showing that is hiding under the plates. A solid light purple dinner napkin rolled with a mint green damask luncheon napkin make a statement fusing the two colours together. I pulled them together with a simple plain white china napkin ring. Slipping a simple sprig of hydrangea gives it a finished touch. I will serve our tea with my solid white teapots. I forgot to photograph them, but if you have followed my blog you have definately seen them a time or two. What a stunning table! I love your choice of colours and the layers! 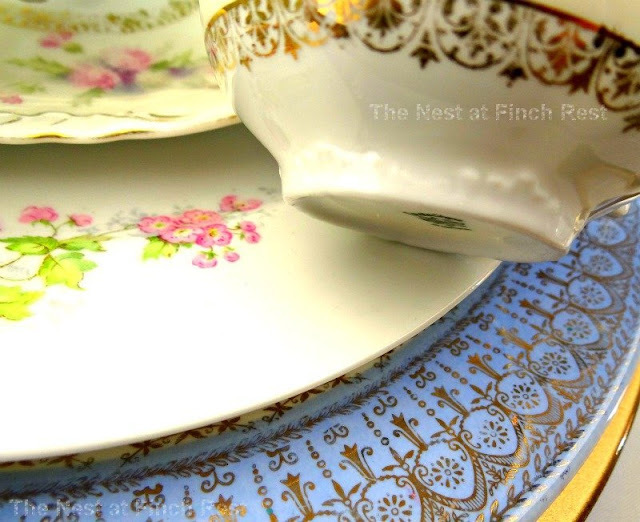 Oh so pretty china; love the teacups! Thank you for joining me for tea and for your lovely wishes. Wishing you a delightful week. Gorgeous Mother's Day table, Michele. The colors and textures are wonderful. Oh my how beautifully elegant. I love all of your dishes. The colors are amazing. Your mom is looking down and smiling. 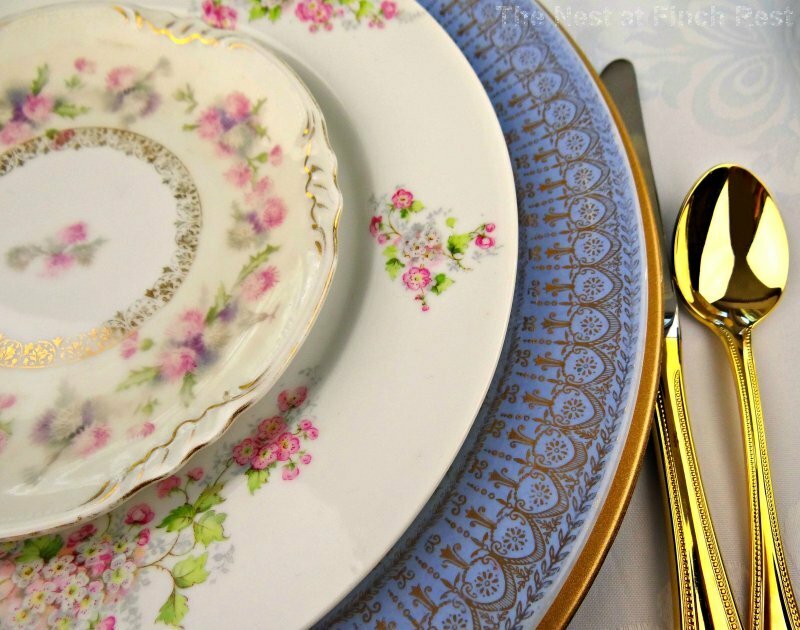 The china is so elegant and perfect for a Mother's Day table. Visiting from the Cozy Home Party! This is such a gorgeous table, Michele! I love the purple & green, they go so well together. By the way, I know your Mom is smiling down at your lovely table, I just know it. Beautiful plates, Michele! The whole table setting looks so pretty and perfect for Mother's Day. I didn't go yet! It's the 18th. I'm bringing my camera but I'm hoping to find some stuff, too! Your table setting is stunning, your mom would have loved it. I like how you layered the plates, a nice group of colours. This is SO PRETTY!!! Lilac is one of my favorite colors, and it always pairs so nicely with green. You really do have some marvelous treasures in your home. I love all these dishes and the bowls as well. Your vintage table runner is so pretty, as are the stemware and flatware. You've created a beautiful table in honor of Mother's Day. 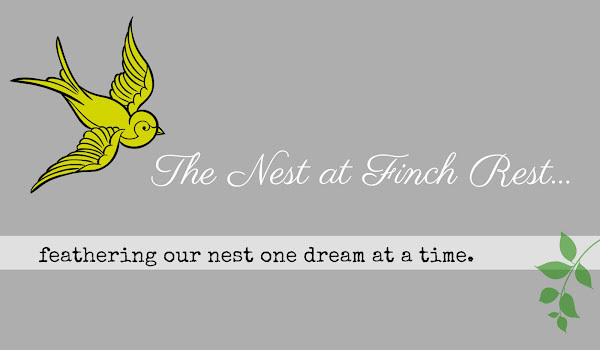 Thank you for visiting my blog, and I'm sorry it's taken me so long to reply. I'm trying to catch up on my visits this week. Michele, I love the mix of all the china patterns. They all blend so well together. Your Mom certainly loves it as she looks down upon this gorgeous, loving table. Have a wonderful week!! So very pretty... 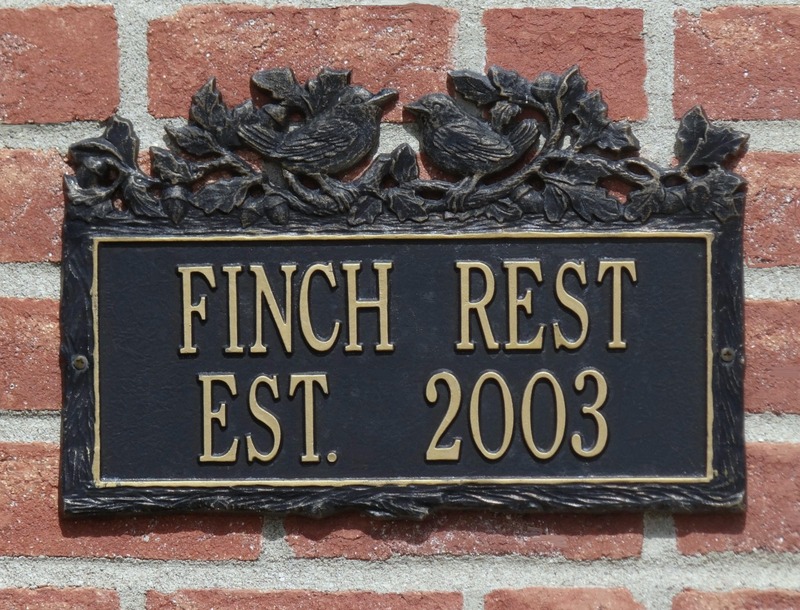 Your guests will love your time together. How wonderful that you will honor the day in a special way. I love your Mother's Day table. It is so gorgeous! Beautiful colour combination and I think it turned out fabulous! Thanks for sharing. This a very lovely, elegant tablesetting for Mother's Day - I love the soft colors and the Hydrangea centerpiece! I love your table setting. It's pretty as! This is just a beautiful table Michele. And SO perfect for mothers day. I love how you have layered everything. And that embossed pitcher is seriously gorgeous. Wonderful job as usual. Love it! Oh so pretty for a spring time table. I just love all your colors and the flower theme. You have a very nice way of gathering goodies! very very pretty tablescape. I love all of your china and the way you put it all together. Your mother would have loved it. Beautiful! 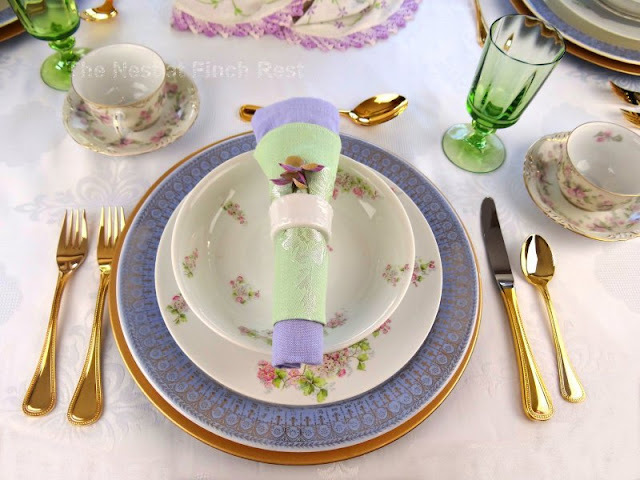 Funny, I did my simple Mother's Day table in purple and green also, visit if you can. Visiting you from Cozy Home Party, even though I've been a follower for a while. So Charming! The Mother's Day party with the delicate flowers and colors is perfect for May. The 12" charges with the lovely design creates a grounding for the stack of china. I especially enjoy your cups and saucers design. Oh Michelle, your post is so lovely! What a special Mother's day table you have set! The colors you have chosen to work with look gorgeous together. I love how you have layered the different plates. Everything looks really great! You have inspired me to think about my table for Sunday. I love your choice of colors for your Mother's day tablescape. Your flowers and china are gorgeous. Thanks for visiting me at Magnolia Cottage. Have a wonderful week. Michele, the china is absolutely gorgeous!!!!! You did a masterful job of layering it! I am posting a lilac and green table tomorrow too! What a lovely Mother's Day table! Oh my gosh...absolutely LOVELY my friend. BEAUTIFUL! Beyond gorgeous! Thanks for the inspiration (as always)! Very beautiful setting for Mother's Day! The colors are amazing together! And I love the floral design on the china! Interesting that the one is muted. Wishing you and your loved ones a wonderful Mother's Day! Hi Michele! Thot I'd skate by and see how things are at the Nest! These are my daughters fav colors. So beautiful together. I love what you've done with the pretty linen. More pretty dishes! It all makes a very worthy Mom's Day table! Such a pretty table, Michele! I'm sure your Mom would have loved it ~ you put so much thought into every special detail. I especially love your centerpiece!! So beautiful! Thanks so much for your kind comment on my thrifting treasures! Michele, this is gorgeous. Love the colors and the stack of plates is wonderful. Those chargers are amazing! Such a sweet looking table - a perfect table for Mom! Love the mix of colors and plates. You have such beautiful dishes. I love the color combo as well. What a creative way to use your table runner. I must remember this trick. Love it!! Thank you! I really love this color scheme! You've layered the dishes to make the floral china really shine in this tablescape. The photo of your centerpiece is magazine-worthy! 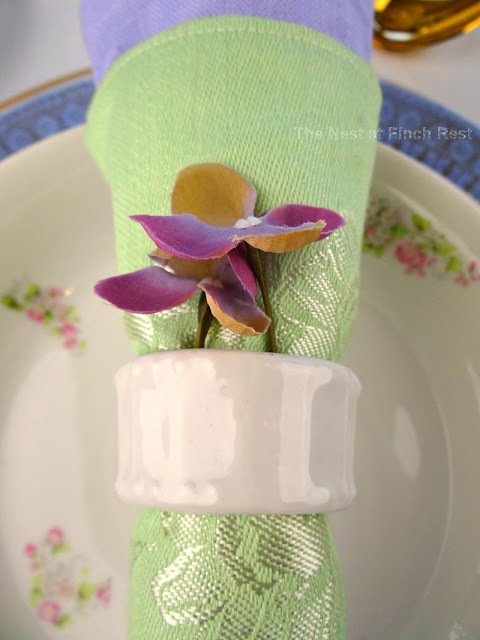 I also love the idea of using two napkins to add even more color. Your tablescape is so beautiful Michele. Oh and how I love your each piece of your China and do appreciate the blurring to show their likeness. I do love the intricate pattern on the chargers too. This is so lovely and so soft to look at. Today is my first day to look at blogs and comment since my daughter got sick and then my trip to see my Dad so I am going to look a little further on your blog to see what I have been missing. Those chargers are gorgeous! Beautiful table, great mix! 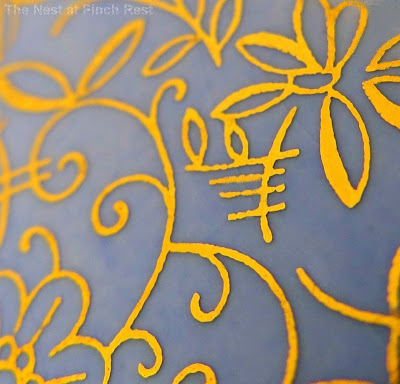 Thanks so much for linking to Let's Dish and Happy Mother's Day!